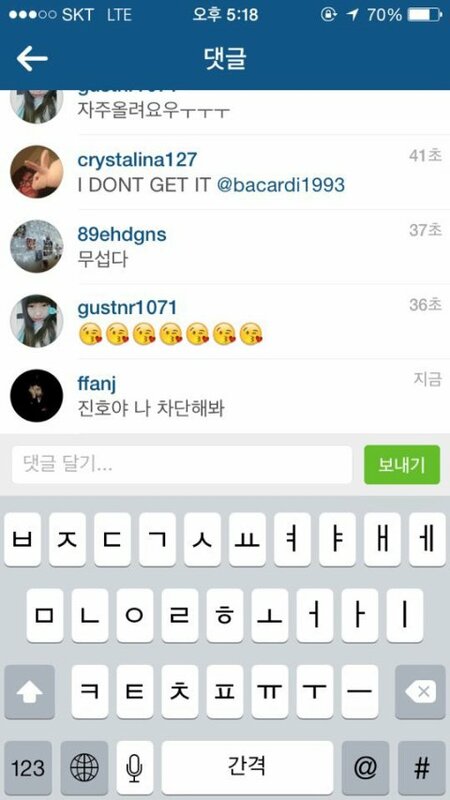 Beenzino blocked me on Instagram.. and Oh Yeonseo mentioned me in a comment. Everyone here knows Instagram right??! I've seen a lot of posts in Pann about celebrities' interactions with fans on Instagram, I also have a very interesting experience so I'm going to tell you about it here!! Firstly, Beenzino!! He's a very well-known rapper.. I never thought he actually checked every comments on his Instagramㅠㅠ I was bored, so I decided to do this.. I didn't expect him to block me for real so I got back to my right mind..
Should I apologize to him and ask him to unblock me?.. But I got a notification that he already read my direct message..
And Oh Yeonseo saw the comment that my friend and I left..
gu_yaaa99: She looks like Oh Yeonseo..
ffanj: It's Oh Yeonseo, you stupid. gu_yaaa99: I know it, you stupid. And I got a heart attack..
2. [+86][-2] I'm sorry for leaving a serious comment here.. I don't use Instagram, but I know that there are a lot of idols who use Instagram.. I don't know if they check their Instagram as often as Oh Yeonseo or Beenzino, but I'm sure that they check their Instagram and the comments their fans left on their pictures.. So please, don't leave a hate comments on their Instagram.. Sometimes I see some kids who left hate comments and I don't know what are they expecting those Idols to do with those comments..
3. [+49][-1] ㅋㅋㅋㅋㅋㅋSo cute, I'm going to follow him..
8. [+8][-0] Why did you get a notification when he saw your picture? Is it usually like that??? 10. [+5][-0] Whoa.. I'm so jealous.. I want to get noticed by Beenzino as well..